The accused was identified as Jojo alias Gyaneshwar alias Ravi, police said. 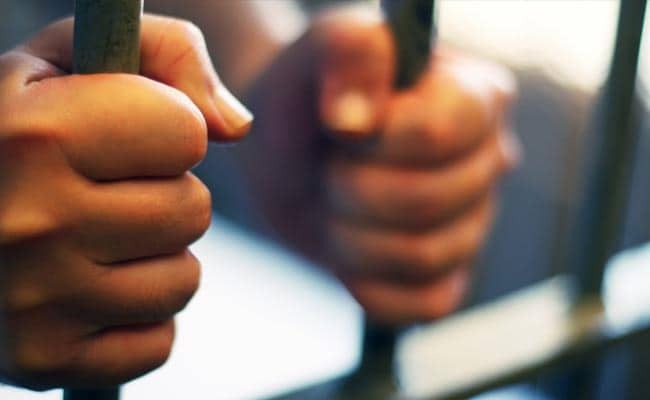 A 33-year-old man, released on bail, was arrested for allegedly extorting and robbing a builder of cash and attempting to kill another man in central Delhi's Karol Bagh area, police said Friday. The accused was identified as Jojo alias Gyaneshwar alias Ravi, they said. Recently, a case of robbery was registered wherein the complainant alleged that he had been receiving extortion calls from Jojo for the last three months. When he did not give money, Jojo, along with his accomplices, barged into the complainant's office at Raigarpura in Karol Bagh on November 11 and threatened him, Additional Deputy Commissioner of Police (Central) Amit Sharma said. The officer said that Jojo demanded Rs 2 lakh from the complainant and also robbed him of gold chain and Rs 20,000-25,000 in cash at gunpoint, the officer said, adding that the victim also accused Jojo of damaging his office by throwing bricks. On July 14, Jojo robbed another person at Tank Road with his accomplice Vinod, Sharma said. On November 7, Jojo, along with his associates, tried to kill one Raj Gautam at Hardhyan Singh Road, Karol Bagh. He fired at the victim with his gun and fled the spot, the officer said. On Thursday, police received information that Jojo would come near Nukkar Faiz Road, Karol Bagh in the evening. Police laid a trap and Jojo was caught, he added. During interrogation, Jojo disclosed that he was released on bail in March in a murder case of one Sunder. He had allegedly shot Sunder in an area falling under Sarai Rohilla police station limits in 2015, police said. A country-made pistol and five cartridges were recovered from his possession, he said.